Finding the right gift for someone can be a challenge, but our goal is to make that task easier for you. 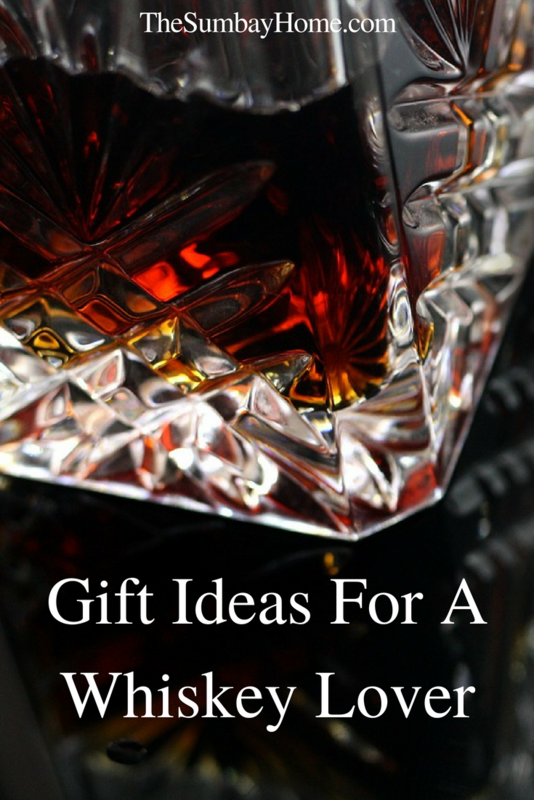 In this post, you will find a great variety of gift ideas specifically for people who love whiskey. These products are sure to enhance their whiskey experience, and you will be credited with giving them a great gift. Now you can feel confident the gift you are giving them is something they wanted. A nice set of glasses is the most important accessory for a whiskey drinker. It is also nice to have a few sets for different occasions. This set of lead-free crystal glasses is a perfect set for special occasions. If you see someone drinking good whiskey out of a plastic or even solo cup, they might need 2 new sets of glasses. Some people drink whiskey neat (which is whiskey is a glass, with no ice). But the majority of whiskey drinkers take theirs on the rocks (with just ice). When using small ice cubes the ice melts fast and dilutes the whiskey even faster. That’s what makes these ice cube trays a bar essential. This set comes with both round and square molds that make 6 cubes each. Since these are large cubes, and you only use one per glass, they won’t have to constantly remember to make ice. I have seen many of these molds that only make 1 to 4 cubes a time. If they want more than that on hand, they have to keep filling them up and waiting for ice. With this perfect set, they fill them up once and have 12 large cubes ready when they need them. As I mentioned before, glasses are the most important accessory for a whiskey drinker. Whats better? A nice set of glasses with a matching decanter. A decanter is simply a nice container to hold your whiskey. They look much better than a bottle for displaying on a counter or desk and keeping a clean look. This is a great old-fashioned set with an upscale look, perfect for any whiskey lover. If a twisted glass and decanter is not their style than this one certainly is. This is the perfect glass and decanter set to give someone as a gift, and it comes in a nice gift box already. This is one of the nicest decanters that I have ever seen. It is the shape of a diamond and comes with a nice handcrafted wooden base. What whiskey lover would not want to pour a glass out of this whiskey decanter? Probably none. We talked earlier about how important ice is for a whiskey drinker. But not everyone wants to water down their whiskey. These whiskey stones are perfect for those that want to chill down their glass without wanting to add water to their precious liquid. This is the perfect balance between neat and on the rocks for a whiskey. This is a great novelty gift for a whiskey enthusiast. It will give them a chance to try to age their own whiskey a little bit longer and make it even better. Not to mention it would look great in a man cave or on display somewhere. Whiskey gets better with age and only ages when it is in contact with wood. So if you have a bottle sitting around for 20 years it’s not getting better. It might actually oxidize and go bad if it’s not sealed properly. An enthusiast can take a barrel like this, fill it with their favorite bottle, and watch it get better at home. If you happen to get this one as a gift, just stick with the 1-liter size. It a great way to start aging whiskey at home. We can’t forget a nice set of coasters. They will love the barrel look of this set, and of course, they protect furniture. The barrel look is not for everyone. If you are looking for a nice clean set of coasters, these dark walnut ones are perfect for any space. Also, if you need help picking out the perfect bottle of Scotch for a gift? We have a guide for that, see our Scotch Gifting Guide.